Happy Monday! I hope everyone had a lovely weekend. 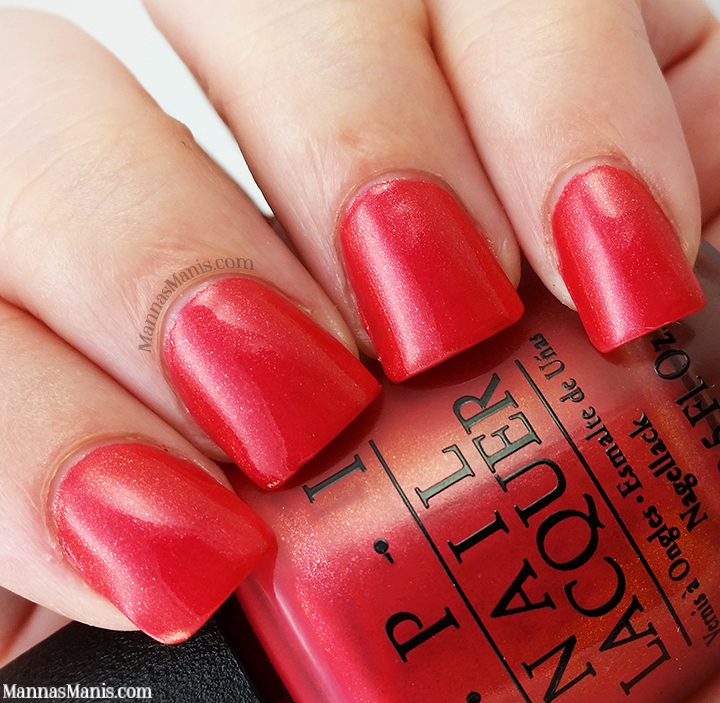 Today I have 4 of the 12 from OPI's Spring/Summer collection HAWAII. First off let me just say it was incredibly hard to limit myself to 4 from this collection. I'm sure all of my fellow polish obsessed ladies can understand the feeling of standing there at Sally's desperately trying to decide which ones you HAVE TO HAVE. I managed to pick my 4 favorites, and it only took me 20 minutes! Just Lanai-ing Around is a dark creamy mauve. I picked this one because I don't have anything like this in my polish collection. Smooth application. This is 2 coats. Go With the Lave Flow was my absolute favorite from the collection. 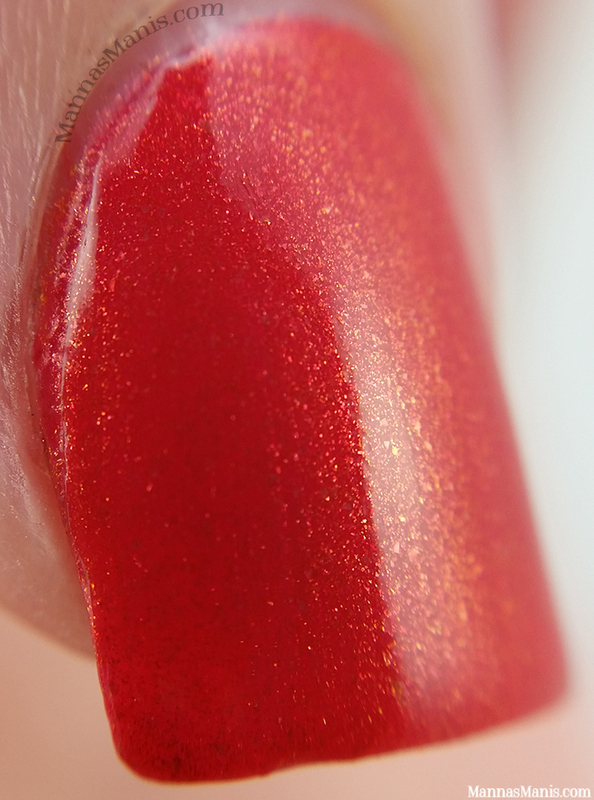 It is a bright red with a golden shimmer. No issues with formula or application. This is 3 coats. This Color's Making Waves is a greenish blue with golden flecks. I just can't even with this polish. SO PRETTY. No issues with formula or application. This is 3 coats. Pineapples Have Peelings Too is definitely unlike anything I've seen lately. I got it simply because of the name. It's quite..ugly. I really don't know how else to describe it. It makes me think of baby food. It's a golden yellow with multi colored and multi sized glitters. Formula was weird and I had a little bit of trouble with application. This is 3 coats. 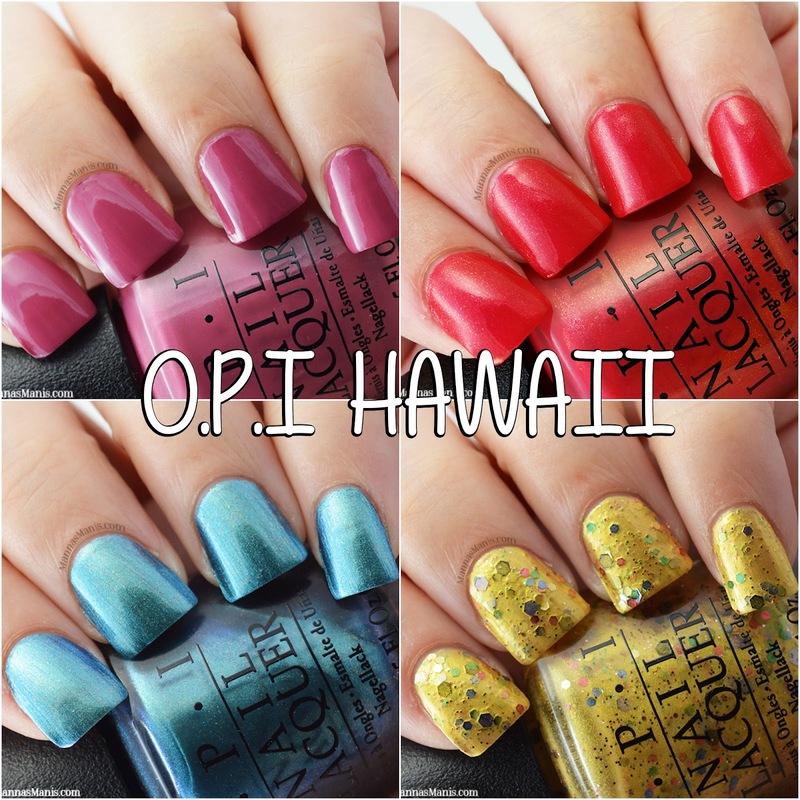 The OPI Hawaii collection is available now online and at your local retail beauty stores for $8.50 each. 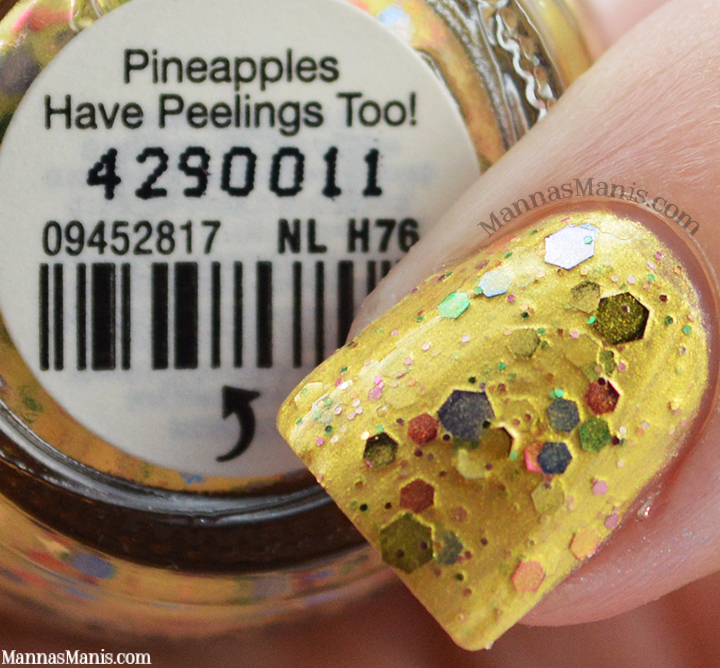 Would you ever wear Pineapples Have Peelings Too?